The British Isles are universally renowned as the heart of psychic phenomenon. It’s steeped in history and literally overflowing with talented psychics, clairvoyants, mediums, myths, magic, haunted houses, tales of King Arthur and Merlin, magical places like Tintagel, Glastonbury and Stonehenge, crop circles and powerful ley lines. We all acknowledge paranormal events and these things occur in all parts of the world, but it is evident that the UK has more than its fair share. This small island has given birth to many of the top psychics in the world and this is due to the people’s heritage. Spiritualism is ingrained into the heart and soul of the country, and anyone visiting can feel the energy emanating from the land as a whole. There are so many spots where the energy is concentrated and so powerful that even the most skeptical person could not fail to feel it. Far from being relegated to the history books, the British mystic is going through something of a renaissance and presently is even more revered than ever before. In the UK, some of the most incredible psychics have inherited their mystical gifts through their Celtic roots. Instinctively you know that their skills have been handed down from generation to generation over the centuries. 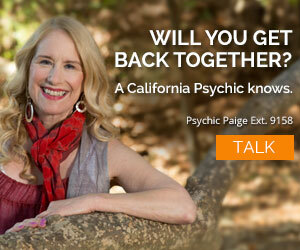 Let me tell you a well-kept secret about the British psychics who work with California Psychics. The telephone psychic business really took off in 1998 in the UK. This group of psychic readers was there at the rebirth of the UK psychic telephone market and has the reputation of being known as the elite of psychic readers—the very best of the British psychics. They have been drawn towards California Psychics because they recognize that everything we have achieved has been done ethically and morally with high levels of quality control. What this fabulous group was all doing was genuinely so awesome that clients heard about their authenticity and knew the truth in what they were saying. Word spread and over time any doubts around telephone psychic readings were put to bed. Our UK psychics walk the walk and talk the talk. Before reading with a client, they “tune in and tune up” in order to connect with their spirit guides and pass on vital information to you. At California Psychics, we consider ourselves fortunate indeed to have working with us the very best of these Mystical Celts who have all honed their skills over many years and who have mastered how to use their gifts in a professional and accurate way to bring you great information and Spirit connection links. Our British readers are of the highest calibrer. With an international client base, all of them are trained to work with the highest link for esoteric readings. 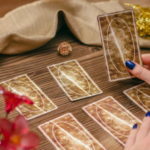 They follow a strict code of conduct that ensures that their work is safe and responsible in order to offer you the best possible psychic guidance. 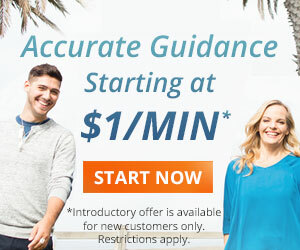 Their training is about honesty and sincerely, offering you their gifts as a service. Their information holds integrity and so is not sugar-coated or tailored simply to what you want to hear. They do not see negatives, only life lessons and challenges, and they do not engender fear. These top British psychics have a long history of working with their natural abilities of prophecy, divination, spirit guides and clairvoyance and you will notice how many clients have left comments that show how amazed they have been at the accuracy of their readings. Eloise ext. 5904: Looking for a pinpoint reading that will lift your spirits? Eloise links with her spirit guide, Anthony, to give you a humorous reading that is straightforward and visionary. Anton ext. 5893 says: “I am often thought of as a person’s mirror, reflecting their own life back to them, so that they can see and understand it even more clearly. I believe that this talent has been ordained to me directly from Spirit to assist others to get the very best out of their individual lives.” Simple and direct, Anton has been reading professionally for over 15 years. Ready to reconnect to Spirit? Get a reading from Anton! Evan ext. 5858: Totally in tune with you, he aims to find light where there is darkness. Evan “…understands the frustration of work, marriage, divorce, love gone wrong, and confusion in love.” He is a fourth generation psychic but the tradition undoubtedly goes back much further than anyone living can remember. Saskia ext. 5742: She is an old soul with incredible energy and impressive accuracy. Saskia is a people person whose spiritual journey has brought her to help those in need of clarity and direction. Do you need a bit more clarity today? Give Saskia a call to see what’s really going on.